Saul Bellow is widely considered one of the greatest American novelists, a Chicagoan through and through whose connection to the city is apparent across his wide body of work. His 1953 novel “The Adventures of Augie March” elevated him to celebrity – a position he resented, despite enjoying its spoils. In 1977, Bellow appeared on WTTW’s “Book Beat” just after winning the Nobel Prize for Literature, and described the chaos the announcement caused. 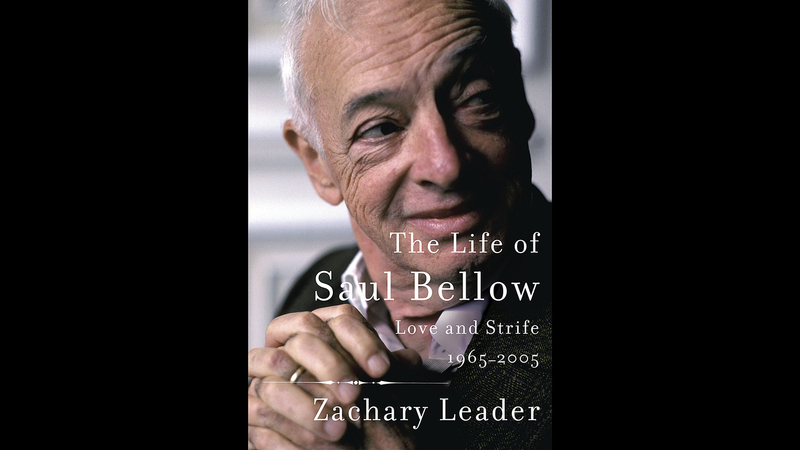 Bellow’s anger, appetites and enormous talent are captured in the newly released biography “The Life of Saul Bellow: Love and Strife, 1965-2005.” It’s the second volume in a series by Zachary Leader, the first of which, “The Life of Saul Bellow: To Fame and Fortune, 1915-1964,” was published in 2015. Leader, a professor of English literature at the University of Roehampton in London, has also written a biography of author Kingsely Amis, among other books. He joins “Chicago Tonight” in discussion. 1. See Julian Moynihan, “The Way Up from Rock Bottom,” New York Times Book Review, 20 September 1964; and Philip Rahv, “Bellow the Brain King,” New York Herald Tribune Book Week, 20 September 1964. 2. Kazin’s Journals are located in the Berg Collection of the New York Public Library. Unpublished entries involving SB were kindly provided to me by Richard M. Cook, ed., Alfred Kazin’s Journals (New Haven and London: Yale University Press, 2011), and are reprinted here by permission of the Berg Collection. The entry for 22 September 1964 is printed on pp. 335–36 of Cook’s edition; subsequent entries are unpublished. 3. These figures come from James Atlas, Bellow: A Biography (New York: Random House, 2000), p. 339 (henceforth cited as Atlas, Biography). 4. These and other financial details come from Atlas, Biography, pp. 339, 368–69. But see also chap. 5, n. 47. 7. Atlas, Biography, p. 368. 8. Quoted in ibid., p. 339. 9. Letter of Robert Hatch to Dwight Macdonald, 14 July 1965, quoted in ibid., p. 347. 10. SB to David Goldknopf, n.d. Goldknopf, a writer, had known SB for over a decade. He was the author of Hills on the Highway (1948), a novel, and of a critical study, The Life of the Novel (1972). Excerpted from THE LIFE OF SAUL BELLOW: Love and Strife, 1965-2005 by Zachary Leader. Copyright © 2018 by Zachary Leader. Excerpted by permission of Alfred A. Knopf, a division of Penguin Random House LLC. All rights reserved. No part of this excerpt may be reproduced or reprinted without permission in writing from the publisher.